Shipping labels with TrueBlock™ technology. Completely covers everything underneath so you can reuse mailing tubes and boxes. Permanent adhesive ensures labels stick and stay throughout shipping. Shipping labels with TrueBlock™ technology completely cover everything underneath so you can reuse mailing tubes and boxes. 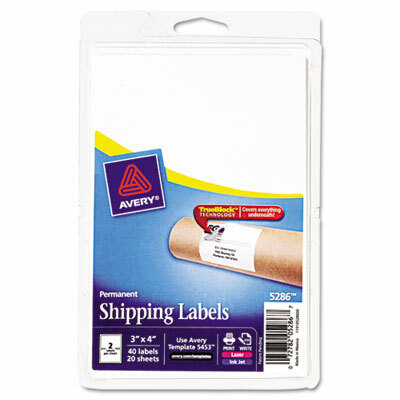 Permanent adhesive ensures labels stick and stay throughout shipping.